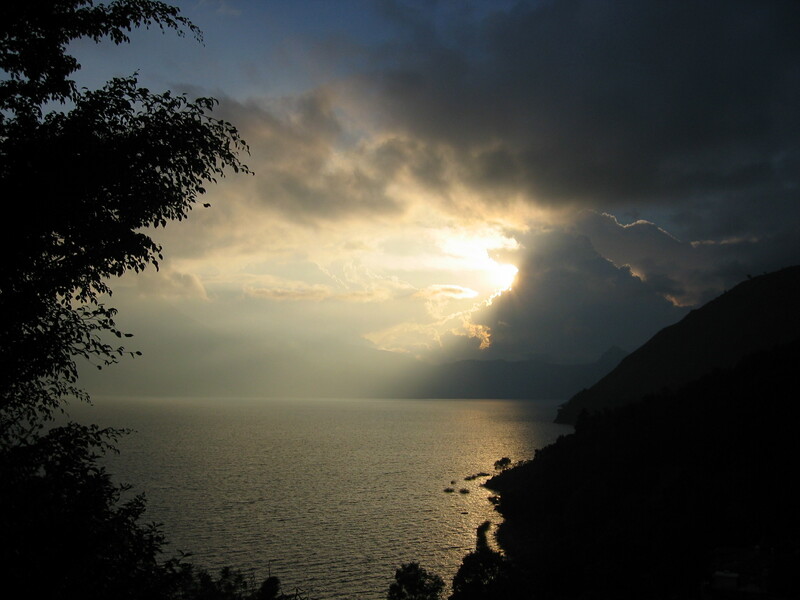 Sunset, Lago de Atitlán, Guatemala, January 2007. The ancients lived in deep knowledge of the sacredness of water. Today, those of us who dwell in the so-called developed world have lost that sense, though many indigenous sisters and brothers living in traditional ways still hold it. On the Winter Solstice 2010, I received a strong message that I was to unveil and share, in public, my ongoing explorations of the sacredness of water. HOLY WATERS is my answer to that call. It is also the founding project of MoonScribe Studios, my center for deep creative work in service to a more compassionate and ecstatic world.